The pervasive nature of social media has made it an extraordinary source of legal evidence today. As such, there is both a duty to preserve social media content and a need for lawyers to learn how to find relevant social media evidence to use in litigation. The five major social media sites today, Facebook, Twitter, Instagram, LinkedIn, and YouTube, all have unique "flavors of information," but are often used in varying ways. It’s important to understand the philosophy and the cultural differences between these sites, because this invaluable perspective will provide you the information you need to search and find the right person on social media. 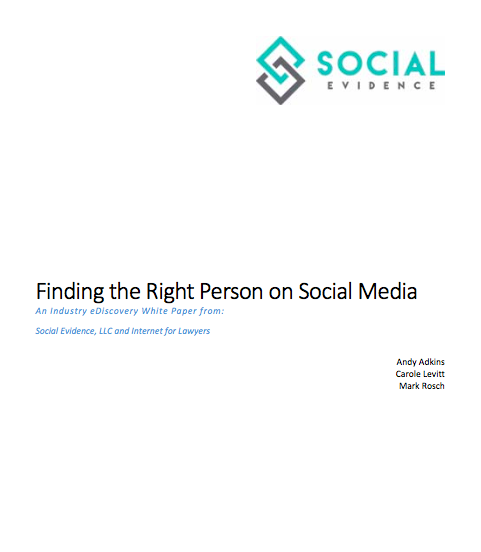 This free eDiscovery industry white paper walks you through the steps to retrieve this information from Facebook, Twitter, Instagram, LinkedIn, and YouTube.